Neuville-au-Plain is under the responsibility in the spring of 1944 of the Grenadier-Regiment 1058 (91. Infanterie Division). This village is located on National Road 13 north of Sainte-Mère-Eglise: during the preparation phase of Operation Overlord, the take of Neuville-au-Plain is entrusted to the 2nd battalion of the 505th Parachute Infantry Regiment (82nd Airborne Division) commanded by Lieutenant-Colonel Benjamin H. Vandervoort. The Americans define a jump zone located less than one kilometer southwest of the village, coded as “O” drop zone (DZ). Parachutes on DZ “O” after the arrival of the Pathfinders begin at 1 hour 51. With all beacons in place, the 118 sticks are dropped in excellent conditions and the 505th Parachute Infantry Regiment (PIR) records the best precision results of all American airborne regiments deployed in the early hours of June 6, 1944: 60 sticks (50% of the regiment) land on target or within one kilometer of the center of the zone Jump and 20 sticks are in a circle of three kilometers radius around the DZ. In total, 75% of the 505th PIR is close to its rally point. The other elements are scattered in the Cotentin region. Lieutenant-Colonel Vandervoort breaks his ankle on landing, but refuses to remain isolated among the wounded soldiers; He absolutely wants to command his men and starts the progression towards Neuville-au-Plain. 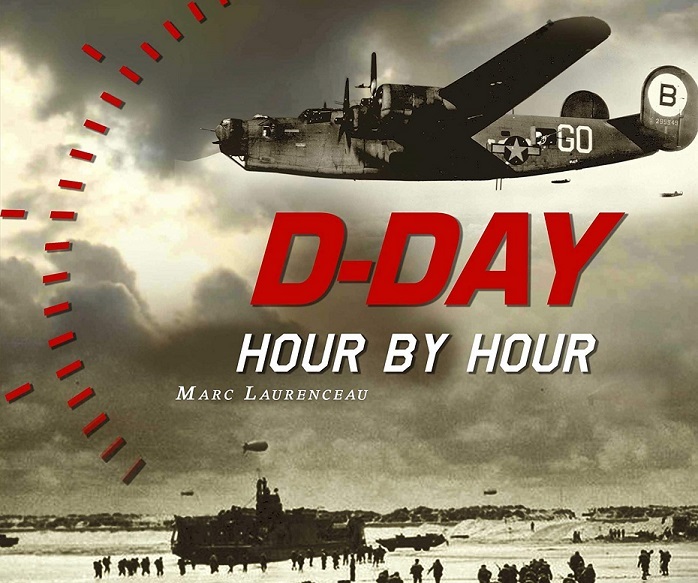 At 6:14 am, he met the corps commander of the 505th PIR, Colonel William E. Ekman, who had no idea of ​​the advancement of the fighting for the taking of Sainte-Mère-Eglise, one of the priority missions of his regiment. Ekman stopped the advance of the 2nd battalion while waiting for news of the 3rd battalion. At 8.10 he decided to change the mission of the 2nd battalion, which must now concentrate on Sainte-Mère-Eglise, leaving the 3rd section of company D at the orders of Lieutenant Turner B. Turnbull to move towards Neuville- au-Plain. The 3rd section of Lieutenant Turnbull consists of 42 paratroopers equipped with a few additional weapons including BAR machine guns, bazookas and two 57 mm anti-tank guns. The soldiers seized the village without difficulty, the Germans having not had time to intrench themselves. In accordance with the orders received, Turnbull settled on the cover north of the commune. At 10.30 am, a column of German soldiers of about 200 men approached the American positions: the paratroopers unleash a massive and precise fire that manages to stop the enemy, forcing him to withdraw. Unable to neutralize the US defense by direct fire, the Germans decided to use their mortars to fix the section of paratroopers and they simultaneously initiate a maneuver bypass with the infantry. Undergoing heavy losses and soon overwhelmed by the enemy, Turnbull realizes that he can not hold out any longer. Lieutenant-Colonel Vandervoort sends company E to Captain Clyde Russell to support his break-in contact. At nightfall, Lieutenant Turnbull retreated to Sainte-Mere-Eglise, 26 of his men fell at Neuville-au-Plain. The fierce resistance of the Turnbull section and the sacrifices of his men allowed Colonel Ekman to be given enough time to strengthen the northern sector of Sainte-Mère-Eglise. The following day, June 7th, the troops disembarked on Utah Beach prepared to launch an offensive directed towards the north of Cotentin and take position against Neuville-au-Plain. The 746th Tank Battalion attacks the commune but fails to settle in the village: however, the Germans are disorganized and are pushed to the north of the commune. On the morning of June 8, the 8th Infantry Regiment (4th Infantry Division) commanded by Colonel James A. Van Fleet stormed Neuville-au-Plain where the American infantry were taken to task by the German defenders. The latter hold their position and resist long hours before bending in the middle of the afternoon. The municipality finally fell into the hands of the Americans, who immediately proceeded to the north. 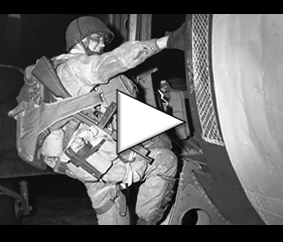 On the night of 9 to 10 June, the village is occupied by 155 paratroopers of the 507th PIR which reinforce the 508th PIR the next day.